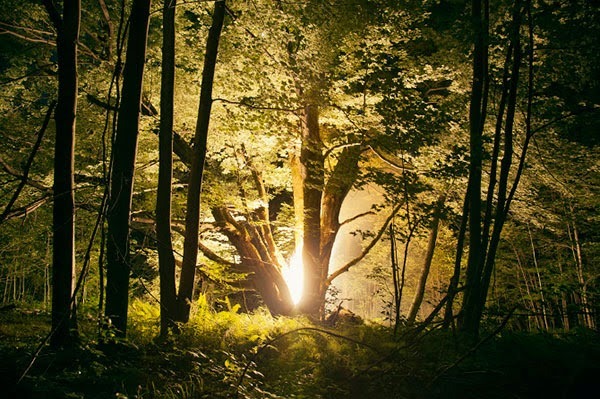 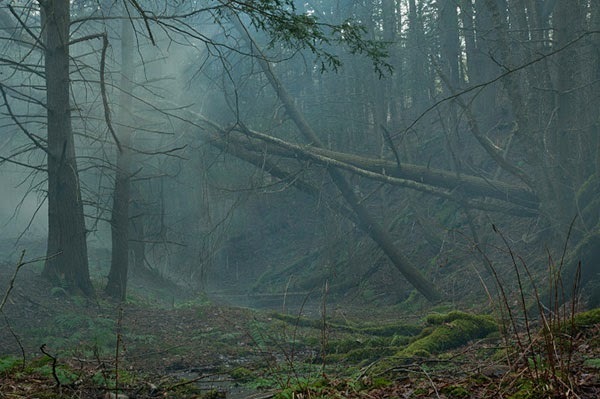 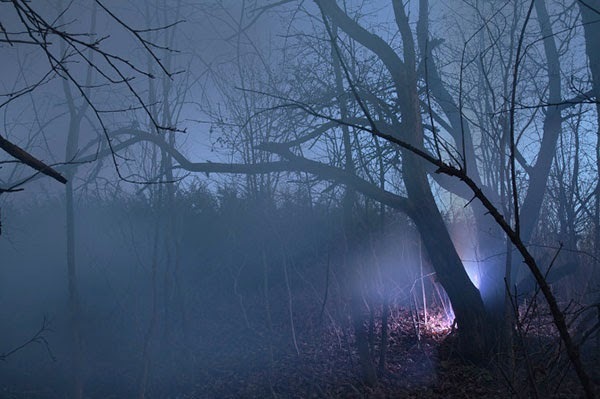 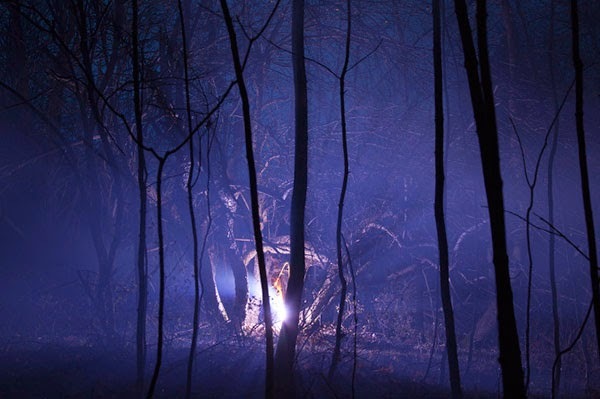 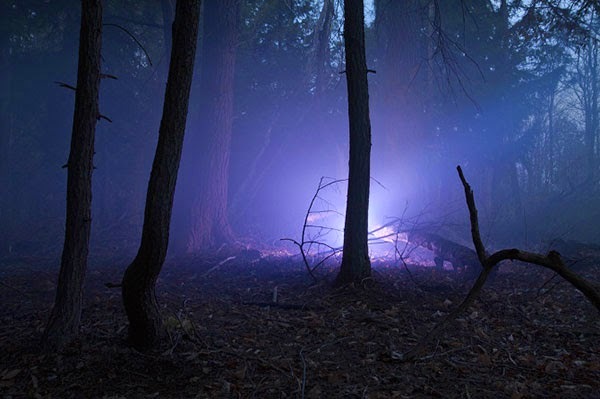 Photos taken in the forests of upstate New York using artificial lighting to act as an outside force on the landscape. 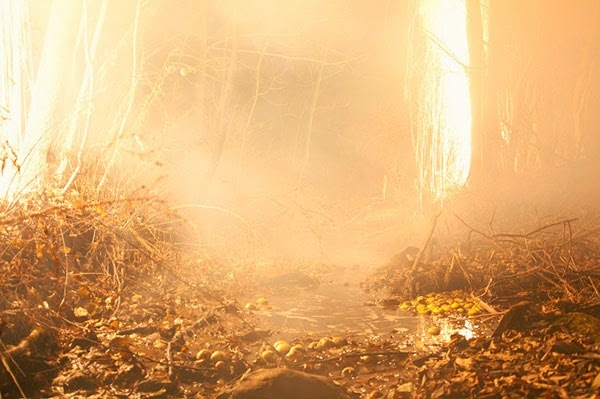 For these photos, I worked with a small pyrotechnics crew that had experience with traditional fireworks shows as well as working on the sets of major Hollywood films. 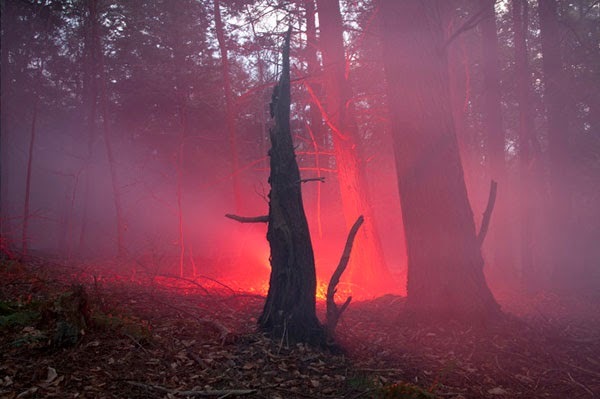 We made custom fireworks in a friend’s garage, and hiked them into the forests of rural upstate New York. 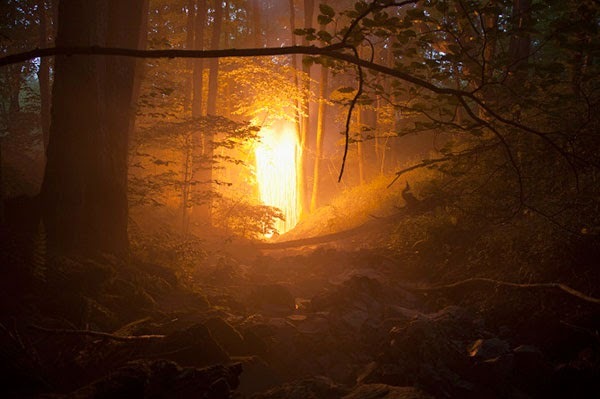 I wanted the resulting images to invoke the occult history of the area, and also to have an inflated sense of drama that might recall in some part the Hudson River School landscape paintings.